On September 1st we are starting a monthly dog photo contest. You will be able to submit a photo of your fur kid or kids through our Facebook page. The lucky winner will receive one of our Celebrations Bones, with the pets name. To learn more about the details and updates, be sure to like Doggie Cakes Facebook Page. 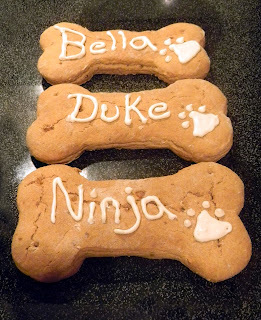 Did you know that Doggie Cakes is on Pinterest? Does your Dog get a New Do for the Summer?